Here at Nu Flow in Chicago, we were recently contacted by a firehouse in Crystal Lake, IL. They had noticed that their septic tank was filling up with groundwater, resulting in the need for extra maintenance in order to keep the system functioning. 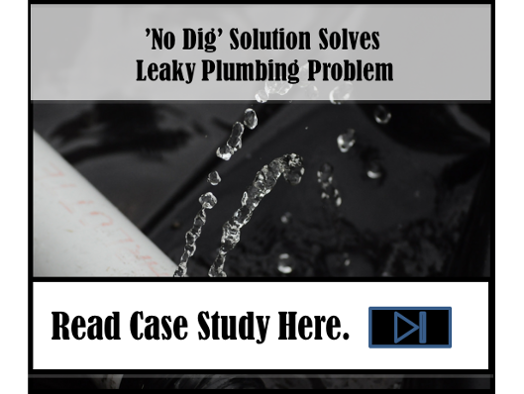 During their search for a plumbing contractor and a viable solution to their sewer line problem, they called us for a diagnostic and pipe lining estimate. Our team scheduled an appointment to go to the firehouse and inspect their drain pipes in order to determine where the groundwater was entering the system. A camera inspection revealed that the main sewer line under the fire station’s concrete slab had deteriorated due to trench rot, which occurs when certain liquids sit at the bottom of a drain pipe for an extended period of time. 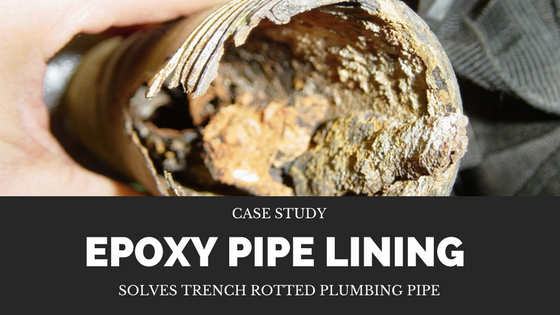 In this instance, the entire bottom of the drain line was corroded and rotted away. After each storm or period of high water tables in the area, groundwater would seep upwards and into the main sewer line where it would travel virtually unrestricted to the septic tank. The camera inspection revealed that the remaining pipe and the existing trench were intact enough to perform pipe lining in order to restore the rotted sewer line. We provided an estimate, and they agreed to have the work performed due to the fact that it would be cheaper, more efficient and just as durable as a new plumbing pipe when compared to excavating through the concrete, removing the old pipe, replacing it with brand new pipe and hiring a second company to repair the concrete slab. Since the solution was a durable, epoxy soaked, pipe liner, our technicians got to work quickly. We determined the correct diameter and length of pipe liner and soaked it in a durable epoxy resin. Once the liner was fully prepared, we inserted it into the corroded sewer line, positioned it and inflated the liner until it pressed against the existing walls of the remaining pipe. When you have a trench rotted drain under a concrete slab, it can be difficult to determine the correct solution. Traditionally replacing the line involved jackhammering through the concrete slab, removing the old drain or sewer line and replacing it with an entirely new pipe. This can take several hours and even days to complete, depending on the contractor, and once the pipe has been replaced, you have to hire another company to repair the concrete. By contrast, trenchless pipe lining does not involve jackhammering through the concrete slab. Instead, existing cleanouts or a new cleanout can be installed and used to insert the pipe liner. In the worst case scenario, a small hole will need to be cut through the slab in order to provide access to the deteriorated sewer line, but it is still less costly, time-consuming and messy than digging up the entire line. If you have a leak in a drain pipe under slab due to trench rot and want help determining is trenchless pipe lining would solve your drain line problem, call us at 815-790-9000.